Very few things great are done alone. Epic achievement is almost always the result of successful and enduring collaboration. Jim explains and details the elements of winning teamwork. He provides specific examples from the experience of the U.S. “Miracle on Ice” hockey team, and how it confounded the experts, made history … and made it to the top of the podium. The impossible becomes possible when you believe. Jim knows what it takes to be a winner and will explain what it really means to be a true professional. He will talk about winner’s character, how they prepare, their priorities, and how to handle victory & defeat. As Jim often tells audiences, “If you don't know where you are going, any road will get you there.” Jim shares the elements and fundamental components of goal setting, defining missions – and then going confidently … and smartly … in the direction of your dreams. Jim has studied … and continues to study and research … what inspires the pursuit of excellence in those who achieve greatness. He describes what is it that separates those content with good enough, and with all right, and with the okay … and those who have an unquenchable thirst and drive to make history and establish the highest standards. Success happens when you believe in winning then you prepare to make it happen. Great Teams accomplish more than great individuals, no one is bigger than the team. Jim shows you how to win collectively vs. individually. Jim will provide you with insights on how to recruit the right people, how to put them in the right positions, and how to pull greatness out of each individual to contribute to a bigger goal. Jim uses his past experiences in both the athletic and business worlds to show how to use the underdog status as a powerful tool. He explains why failure isn't fatal but being afraid to fail is. You are what you see, you always have a choice to be the victim or the victor. Jim will make you understand that intense discomfort is the price tag for personal greatness. Let Jim show you how ego can be swagger. With conflict comes change, let Jim teach you how to manage both of these important ingredients for success. Not everyone has the talent to be a true leader. Jim will explain what it takes to be a great leader and how leaders have the ability to make or break the team. Leaders always do what is right for the betterment of the team. They have the ability to recognize the strengths and weaknesses of each individual and put them in positions to succeed. Don't confuse being busy with being productive, success can be your biggest enemy. Jim believes that you should not limit yourself to small goals or underestimate your personal ability to become more successful. Jim believes that getting comfortable is being uncomfortable. He will talk about how he and his teammates had to change the way they thought, trained, and played under the guidance and vision of Herb Brooks. He will show you how transformation change can be executed and how this can aid your organization to perform more effectively. Goalie, 1980 U.S. "Miracle on Ice" Olympic gold medal winning hockey team, sales and marketing executive, entrepreneur, motivational speaker. 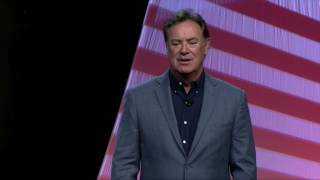 Jim Craig guides, motivates, and inspires your employees and associates through a 45-minute to one-hour speech that is customized to your organization’s needs and objectives. Jim Craig has been called the backbone of a team that has been named the #1 moment in sports history. Their Miracle team defeated the Soviet Union amidst the Iranian hostage crisis that sent our country into a frenzy. 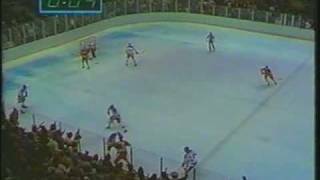 Two days later, Jim helped seal the deal when the United States defeated Finland to bring home the Gold Medal in Lake Placid. Before the Olympics, Jim was an All-American goalie at Boston University leading his team to a NCAA national championship. After the Olympics Jim went on to play professionally for three NHL teams, where he sustained a career ending injury while playing for the Minnesota North Stars. He is enshrined in the Boston University Hall of Fame, the International Ice Hockey Federation Hall of Fame, the United States Hockey Hall of Fame, and the United States Olympic Hall of Fame and co-recipient of both the Lester Patrick award and Sports Illustrated “Sportsman of the year award”. After Jim’s professional hockey career ended, he transitioned his success into the corporate world. He has been inducted into Sales Hall of Fames for two different companies increasing a sales territory from $300,000 to $50 million in annual sales. For more than 30 years, Jim has inspired, instructed and provided strategic and winning directions to some of the most prestigious companies across the world including Bank of America, Coca-Cola, Procter & Gamble, and Disney. 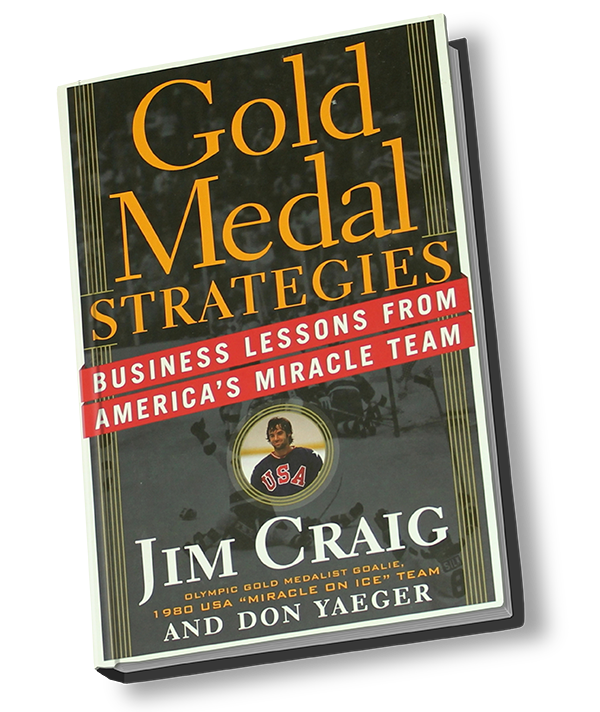 Jim is co-author of the highly acclaimed business book, Gold Medal Strategies: Business Lessons from America’s Miracle Team and is in the process of writing a new book that will be released next year. Jim and his wife Sharlene have been married for over 30 years and have two children, JD and Taylor. “Winning a gold medal for your country is a rare accomplishment. 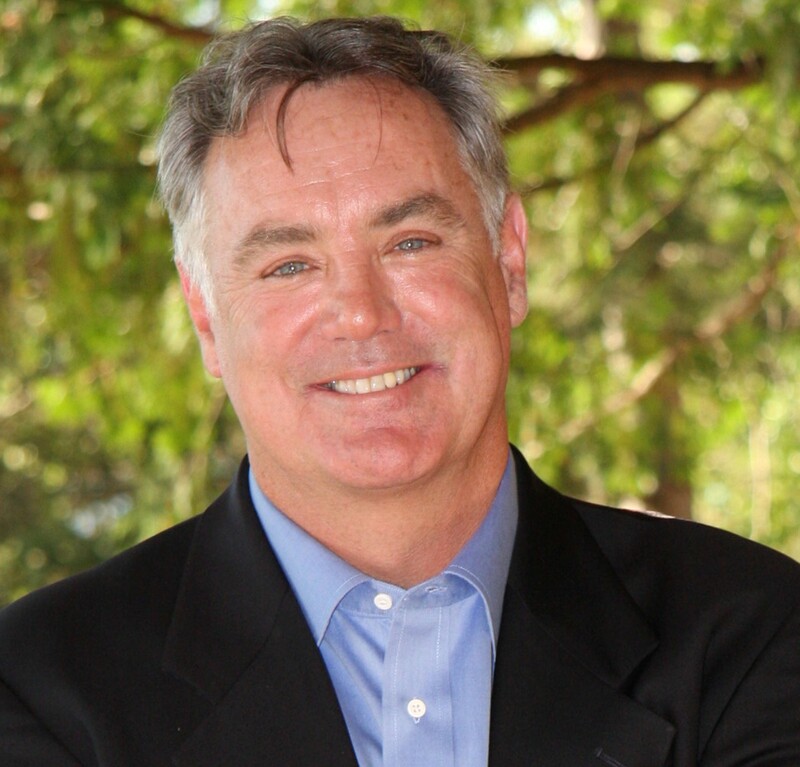 Being able to listen to Jim Craig deliver a message on teamwork, meticulous recruiting, and accountability is just as rewarding. To quote two attendees: ‘Best presentation I have heard in a long time’ and ‘Wow, he had my attention the entire time’. Jim mixes a clear message on important topics in business with entertaining stories of the past. Fantastic speaker and even a better person to know. If you have not heard him speak, hire him.